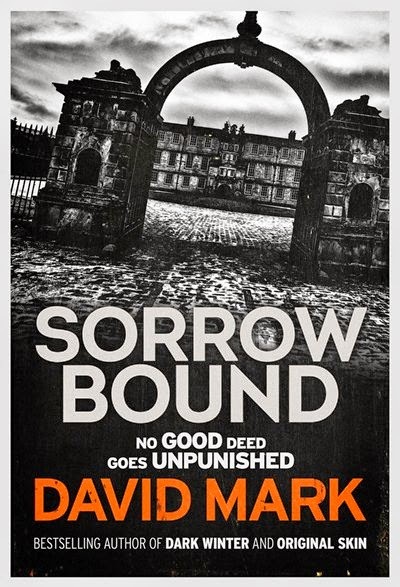 Today’s guest blog is by David Mark whose third novel, SORROW BOUND, has just been released to critical acclaim. The novelist explains how inspiration can strike in the unlikeliest of places and at unexpected times. I think I was on my way to Bridlington. Life gets you like that, sometimes. You’ll be at home, watching a Poirot for the umpteenth time, and your brain hands you the suggestion “go to Bridlington”. So we did. Me, my partner, and a couple of dogs. Set off up the coast road in the Suzuki with a pint of coffee and a Kit-Kat. We didn’t make it, of course. You never make it to Bridlington. A tractor breaks down or a boy-racer has a crash or another part of the East Coast tumbles into the sea before you’ve got halfway. In many ways, trying to get to Bridlington is a metaphor for life. On this particular day, we’d got tired of sitting in traffic. We weren’t even halfway. One of the dogs was whining for a pee. So we turned inland. Drove down a few country roads and tried to find somewhere vaguely pretty to go for a walk. We failed. So we scaled back on our ambitious criteria, and instead we stopped at the first lay-by that offered a place for the dogs (and me) to relieve ourselves. That place was the tiny little village of Watton, a mile or two from the teeming metropolis of Hutton Cranswick, which is not too far from the Capitalist emblems of Driffield and Wetwang. Remote? A tad. But it has a bloody good lay-by. We took a walk down a little footpath. I remember there were trees on either side that met above our heads, making it feel a little like walking through a green tunnel. There were a lot of flies. My partner nettled her ankles. There was dog muck. And then we were in a field and I was looking at an abandoned building with its roof open to the sky and barbed wire snaking around its crumbling remains. It half obscured the stunning manor house behind it. I could hear the sound of water trickling over stones. There was a little church to my right and the ground was damp and tangled. About thirty seconds later, I had a plot. but there’s a big difference between a story and a book. At that time, and in that place, Sorrow Bound crashed into my skull like a fist. It sent me reeling. I saw the whole damn thing. Saw the manor house transformed into an expensive mental hospital. Saw the red-brick building beneath the lime trees burning at the hands of an escaped patient. I saw a family screaming. Saw a showdown in the darkness beneath a sky teeming with rain. I managed to get a signal on my mobile phone and Googled my location. Serendipity smiled. This place had seen blood. An abbey had stood here, home to both nuns and monks. It had seen scandal when two of the residents fell in love. A monk had been dealt with by the nuns in an eye-water manner and left to bleed to death while the unborn baby miraculously disappeared. It had been a site of pilgrimage for centuries. And the big manor house belonged to a Tory MP. Oh I could have some fun with this …. So I wrote it. I went home, opened up a Word document, and started writing. Five months later, I put the final full-stop and realised it has been a while since I’d had a pee or a sandwich. But I’d written the third in the McAvoy series. That was about 18 months ago. It’s on shelves now. It’s being downloaded. People are picking up copies with their groceries and I’m talking about it in bookshops and libraries and on radio stations. Surreal? I’m way past that. 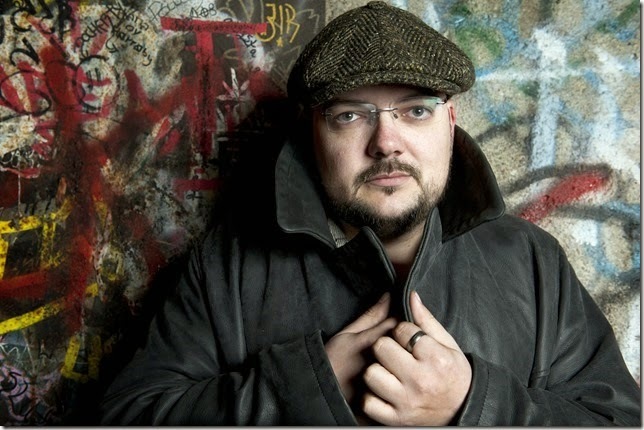 My whole life has been decidedly peculiar since the moment my friend and agent Oli Munson broke the news that people were decidedly interested in my first book, Dark Winter. It got weirder when Richard and Judy picked it for their book club and Val McDermid picked me for the New Blood panel at Harrogate. I’m on the organising committee now. My heroes are my friends. My first book is being adapted for TV and I just saw a bus go past with a huge banner on the side advertising my second paperback, Original Skin. 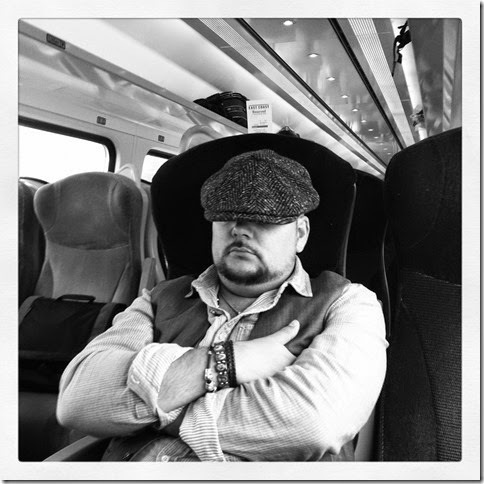 Right now I’m sitting in my office at my house in North Lincolnshire and trying to decide whether I should sketch out a character background for the villain in the fifth McAvoy book (Dead Pretty, out in 2016) or go and watch a cowboy film on Channel 4. Inspiration has already hit me for that one. I’ll fill you in on the mad story behind book four when it comes out next year. For now, I can only suggest that you read Sorrow Bound and remember that it all started with an abortive trip to Bridlington and a dog that needed a pee.